Archive by Category "Transmission Repair"
Most auto repair shops in Longmont will recommend that car owners get their transmission flushed every 30,000 miles or every 2 years to keep their vehicle in good working order. But for some cars, there may be certain situations when that rule of thumb needs to be ignored. In some cases, a transmission may need to be flushed much sooner to help protect the transmission and the car’s overall performance. For owners that believe there may be an issue with their transmission performance, there are several key signs they can look for. When a transmission becomes bogged down with dirt, grease and other debris it may begin to show signs similar to that of low transmission fluid levels. If drivers notice their transmission grinding or making odd sounds when driving, it is a good idea to check the transmission fluid levels while the car is still running. If the fluid level seems normal, the vehicle most likely needs a transmission flush. Whether a vehicle is a manual or automatic, clean transmission fluid is necessary for smooth operation and maximum performance. If a transmission has too much dirt or sludge in the fluid it can cause a sluggish response when shifting gears. It may be time to flush the transmission fluid in an automatic if the car changes gears too quickly or too late. Manual transmissions that need a flush may be hard to shift at all. Excess dirt and contaminants in the transmission can cause a loss of hydraulic power, therefore keeping the transmission from staying in the appropriate gear. A dirty transmission can quickly start to interfere with transmission fluid flow, resulting in the lack of pressure needed for the transmission to stay in gear. It the transmission is experiencing no other issues besides slipping gears, it may be time to get a flush. A transmission that is polluted with an excess amount of dirt and debris usually needs a transmission flush. When drivers notice a certain unexplainable surging while driving it may mean that the dirty transmission is hindering proper fluid flow. This can cause the car to jump or surge backwards and forwards without warning. This phenomena is caused by an inconsistent flow of transmission fluid and indicates that it is time for a flush. Stonum Automotive in Longmont services all makes and models and transmission types. Taking the time for an oil change every 3,000 miles is second nature to most car owners. Many conscientious drivers do not consider regular transmission maintenance though. The transmission, like the engine, needs periodic services to keep it running reliably and to prolong its mileage. Aside from regular transmission services the life of a transmission can be prolonged through certain habits. First off, never shift into park or reverse until the vehicle has come to a complete stop. The area where the car is parked should be checked for signs of fluid leakage on the ground. Catching a leak and therefor low levels of fluid can stop a transmission from attempting to run on low to now fluid and being permanently damaged. And transmission should never be used for braking. These driving habits can add life to a vehicle and prolong the need for a transmission rebuild or replacement. How Often Should a Vehicle Receive Transmission Services? The periodic transmission services for most vehicles is based on mileage more than a set time period much like oil changes for the engine. The transmission fluid should be changed either every 15,000 miles or one time a year, although some newer vehicles come with a manufacture’s guide that increases the time to 36,000 miles or three years. The older the vehicle the more frequent services it will need. Fluid changing services take about an hour and a half to complete and can add years to a transmission and reduce the risk of a driver being stranded by sudden problems. There are other services that should be scheduled regularly to keep the vehicle running smooth for as long as possible. These include tire rotation and alignment, transmission flushing, computer check-ups of the engine and before trip check ups. A bit of prevention can literally save a driver thousands and keep them safer on the road. A wise driver can find a trusted source for auto repair in Longmont and begin a long-term relationship with an expert mechanic to ensure the longest life possible for their vehicle. Is a Specialist Needed for Transmission Repair? These aren’t needed for healthy transmissions more than perhaps once every 100,000 or 150,000 miles. Each car’s owner’s manual will have the manufacturer’s specifications for that particular make and model. Unhealthy transmissions, on the other hand, can end up with burnt fluid or fluid that’s been contaminated with metal shavings. It can be tempting to have the fluid changed when bad fluid is seen on the transmission dipstick, but this isn’t a real solution. That’s because flushing the fluid doesn’t get rid of the underlying problem. The proper sequence of repairs is to fix the problem first and only then put the new fluid in. This is what takes care of the actual repair. With rebuilding, the existing transmission is removed and taken apart. The damaged internal parts are replaced with new ones while the ones that are still good are kept. Then, new seals are installed and the unit is reassembled. This is a lot of work, so it can take several days for a busy shop to get the job done. Transmission replacement doesn’t involve installing a truly new unit. Instead, the shop uses one that was rebuilt at some prior time. The pre-rebuilt one may have been worked on by the shop, but it’s more common for general mechanics to buy them in from large rebuilding companies. Either way, using one that was already rebuilt is a time saver for customers. All the mechanic has to do is take out the old unit and install the new one. Despite this, the price is usually about the same because the rebuilding work did have to be done at some point. The other main service offered is diagnostics. Some other car problems that seem to point to the transmission are actually caused by other things. This makes it a good idea to test and make sure that the transmission is really at fault. 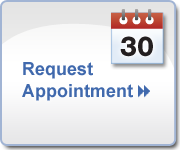 If a car has been acting up, it’s a good idea to stop by an all-service garage before seeing any specialists. The general garage will likely offer better prices and a faster turnaround time.